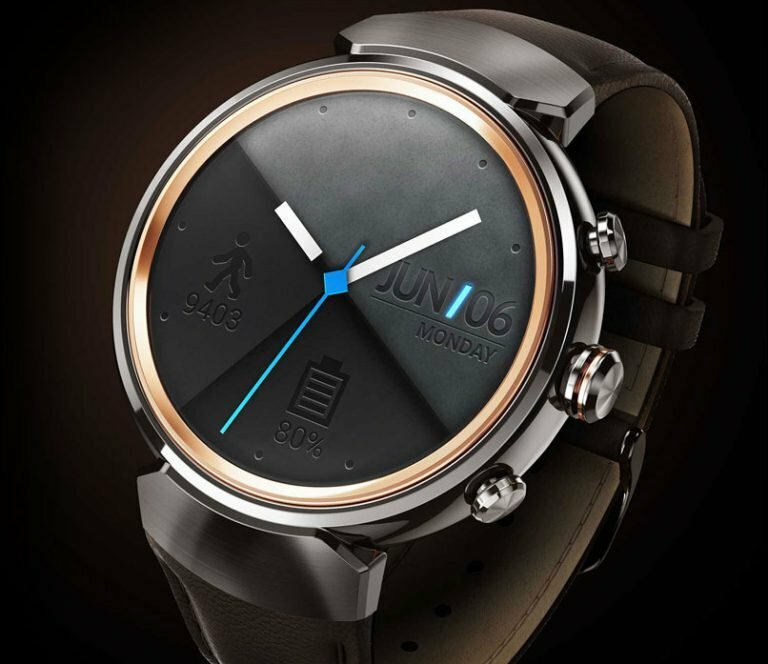 Asus has put customisations at the heart of its latest third-generation smartwatch. Asus ZenWatch 3 features more than 50 watch faces that allow the user to select a face that suits the occasion and mood. It’s also possible to create and design a completely new watch face using the ZenWatch Manager app. Image source: Google Play. 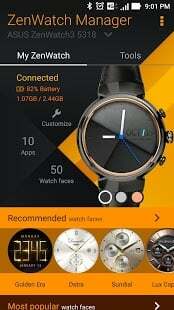 ZenWatch Manager app used for customisation of watch faces. Asus ZenWatch 3 is smart both inside and outside, and runs the latest Android Wear 2.0 operating system. Let’s have a closer look at its specs and features. Qualcomm’s processor Snapdragon Wear 2100 is optimised for wearable devices like smart watches and ensures snappy performance and low battery consumption. The efficient processor and Asus competent engineering means that the battery lasts two days without charging it. The HyperCharge technology allows for lightning fast charging: 60% of the battery’s capacity is charged in only 15 minutes. The design resembles that of a traditional luxury watch as ZenWatch 3 has a round shape unlike the predecessor Asus ZenWatch 2. The exterior has a stylish and sleek aura to it. The round AMOLED display measures 1.39-inch and has a resolution of 400 x 400 pixels. The case is made out of stainless steel 316L, which is the same grade used in Apple Watch. There are unfortunately no retailers selling ZenWatch 3 in New Zealand yet. However, we do list it on PriceMe’s sister sites in Australia and Singapore at NZ$369. There are three colour options: rose gold, beige and dark brown.